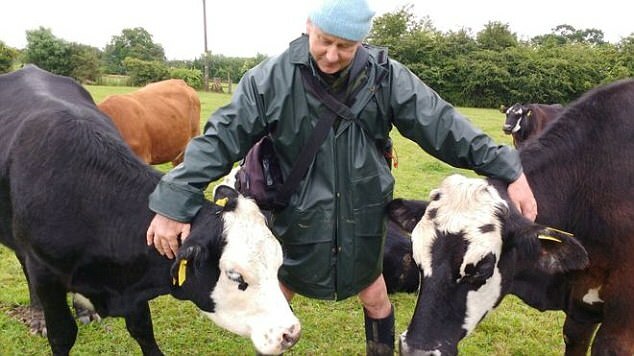 A vegetarian farmer has donated his entire herd of cows to an animal sanctuary because he can't bear to kill them. Jay Wilde, who runs Bradley Nook Farm in Derbyshire, sent his cattle to live out their lives in a Norfolk field. The 59-year-old took over the farm when his father died in 2011..
Mr Wilde, who has been a vegetarian for 25 years, said: 'It was very difficult to do your best to look after them and then send them to the slaughterhouse for what must be a terrifying death,' according to The Times.